The Nokia 6216 Classic is Nokia’s first SIM-based NFC device and is expected to start shipping during the third quarter of 2009. Nokia has announced its third fully integrated near field communication device, the Nokia 6216 Classic. The new handset is expected to start shipping in the third quarter of 2009 “in select markets” with an estimated retail price of EUR150 before taxes and subsidies. The 6216 Classic is Nokia’s first NFC handset to use a SIM as the secure element, allowing it to conform to the requirements of the GSM Association. The current Nokia 6212 Classic, on the other hand, uses a secure element embedded in the handset to deliver NFC functionality. 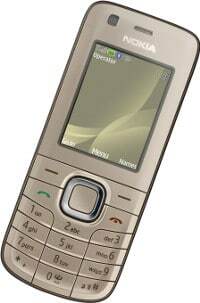 Whilst not exactly cutting edge in terms of general mobile handset features, the Nokia 6216 Classic is a significant improvement on the previous 6212 NFC model and boasts a two megapixel digital camera, stereo FM radio and music player, 3G connectivity and a microSD slot which is expandable up to 8GB. The 6216 will also come packaged with three pre-programmed NFC tags.